Welcome back! 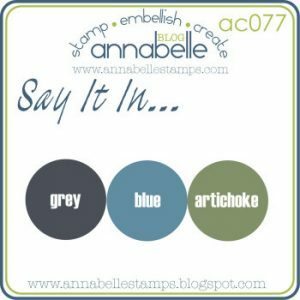 Friday has rolled around again, so it is time for another challenge at AnnaBelle Stamps. Being the end of the month, means we have a sketch challenge. Quite an easy one…with so many possibilities! 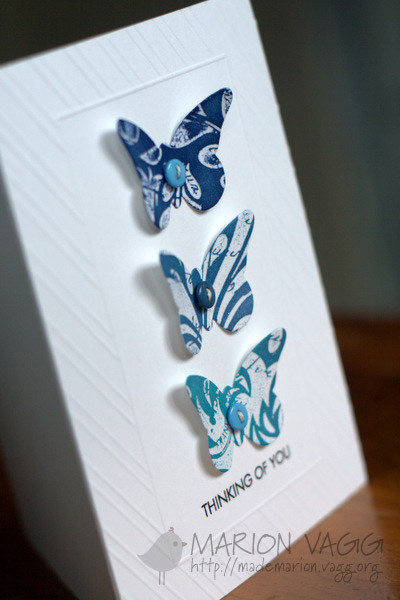 Today I used one of the new dies that is now selling in the store – Cuts by Design – Shapes 1. 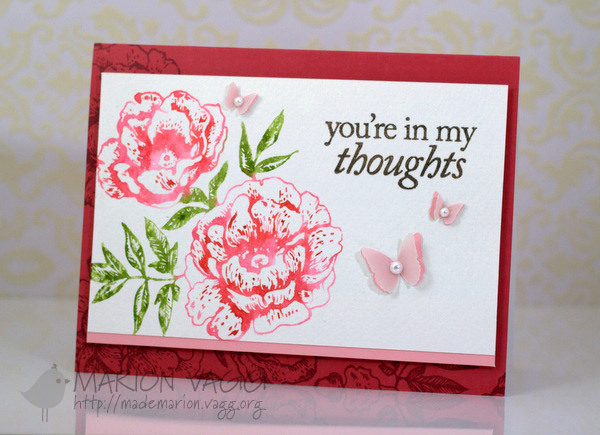 I also used two little flowers from the Stemmed Flowers set and with a little bit of masking, I created a flowery label. I coloured them in with Copics. 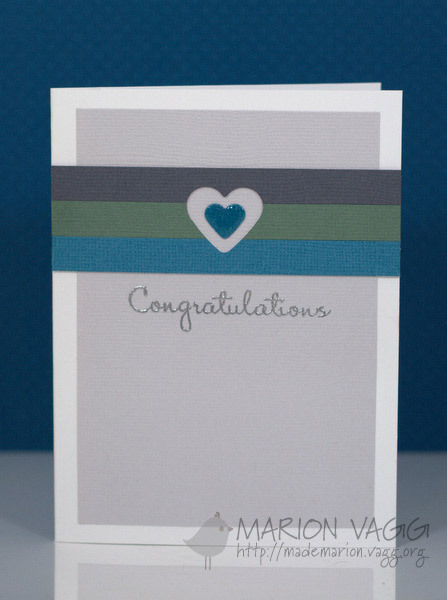 To add a little texture to the card, I embossed a pattern using my scoreboard (again!). The central panel is popped up with dimensionals. Hope you can find the time to play along with us. 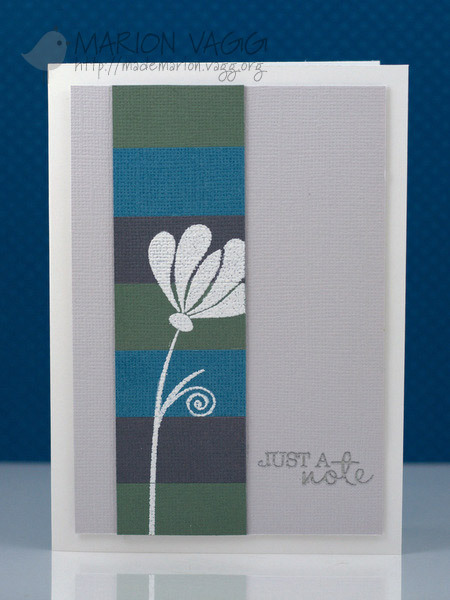 This week the winner will receive the Lil Bee’s Big Flowers stamp set. Thanks for stopping by and be sure to check out the rest of the DT projects. Their links are on my sidebar. And don’t forget that Andrea is giving away a Spillbinder’s Grand Calibur. Click on the blinkie on my sidebar to see how it could be you. 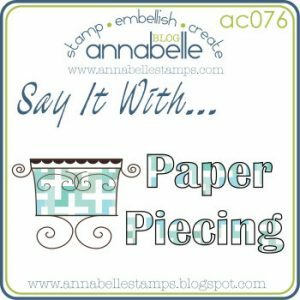 Hi…time for another challenge at AnnaBelle Stamps. Quite a tricky colour combo this week. I had to hunt through my card stock to match the colours (as I don’t have a grey ink!) In the end I came up with the following 2 cards. 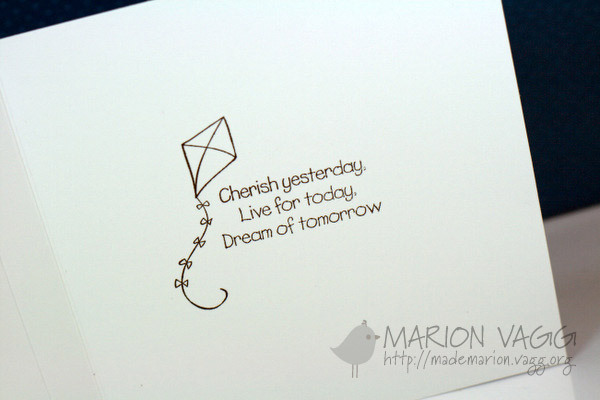 To continue on with the grey theme, I used silver embossing powder for the sentiments. 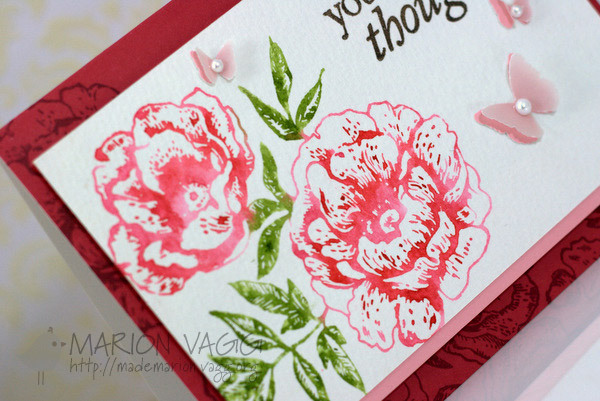 I also added Glossy Accents to the little heart on the second card. Popping in quickly with another card for the current Hero Arts challenge which has a ‘Thinking of You’ theme. I inked up my new Hero Arts Leaf and Floral background in Versamark and clear embossed. I then used several blue Distress Inks over that…they resisted the embossed areas. 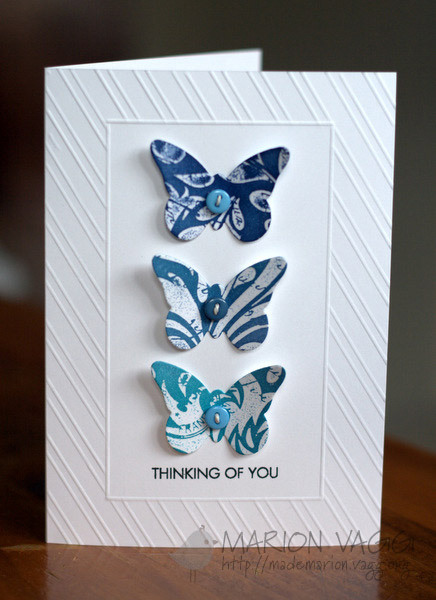 I used a MFT butterfly die. Easy! Oh and the dry embossed border was done on my scoreboard. Friday has rolled around again, so that means another challenge at AnnaBelle Stamps. 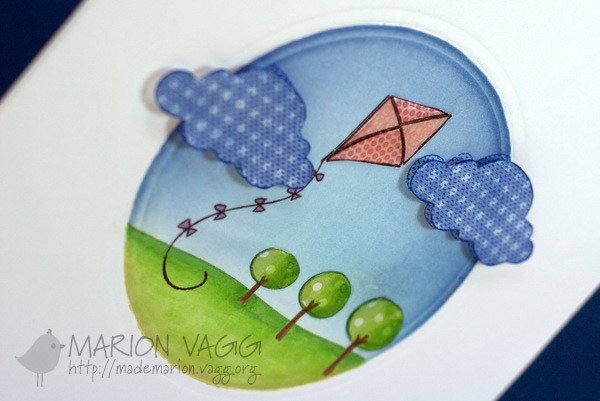 This week is a fun one…who doesn’t love a paper piecing challenge? Today the Belles are giving you a peek at some new AnnaBelle stamps that are being officially released into the store this afternoon at 4pm (AEST). Be sure to head to the AnnaBelle Stamps Blog at 4pm for the full release AND for a give away!! In the meantime you’ll just have to check out the Belle’s creations for some hints. I have created a little scene today, masking off everything outside the circle using Mask It. 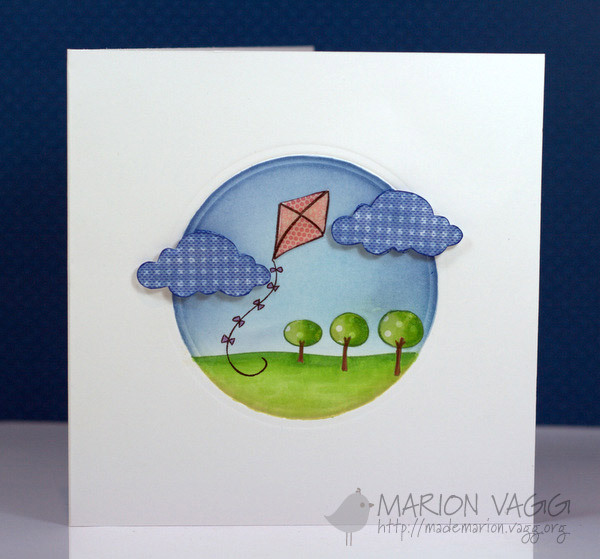 The kite is covered in Glossy Accents to give it a little shine…but it doesn’t show in the photo very well. I added some simple Copic shading to the trees and grass. I probably should have added some to the kite, but only thought of that now! For this one I put the sentiment inside the card…something I never seem to do. Don’t know why really! Thanks for stopping by and be sure to check out the rest of the DT projects. Their links are on my sidebar. And don’t forget to head to the AnnaBelle Stamps Blog at 4pm for the full release and a giveaway! Due to the long (wet and wintery) weekend that we’ve had here in Australia, I’ve managed to get crafty and ink up some stamps that I haven’t had a chance to ink up. I have created this one for the current Hero Arts challenge which has a ‘Thinking of You’ theme. Using distress markers, I coloured right onto the stamp, spritzed with pearlised water and then stamped onto watercolour paper. Such a fun technique (which I have never tried before!) This is another reason why I LOVE my distress markers! I highly recommend them. Other Supplies: Mini mister, Perfect pearls, Martha Stewart Butterfly punch (3 in 1), vellum, AnnaBelle Stamps pearls – 3mm and 4mm, foam dimensionals, Gloss accents (to adhere butterflies).